On 29 July 1899 the company "Elba -Società Anonima di Miniere e di Alti Forni" was founded in Genoa to build the Portoferraio plant, a production site which in 1902 saw the first coke-fired blast furnace in Italy start operation. In 1911 the company entrusted management of the plant to Ilva, following the addition of two further blast furnaces and the steelworks. 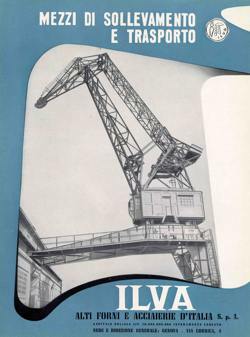 In 1931 the company was taken over by Ilva Alti Forni e Acciaierie d'Italia. In January 1949 the plant, which in 1944 had stopped all activities due to the war, was permanently closed down.